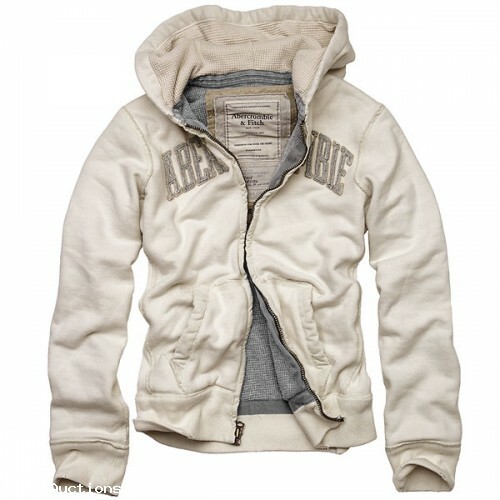 Original Hoodie Fleece from Abercrombie &amp; Fitch! If you wish to order ANOTHER SIZE then listed, ANOTHER COLOR or a few items, please contact us. We may ship items from#@$%nada or directly from licensed factory in Hong Kong by EMS with tracking number which is faster then with any of Union Post Service. We#@$%n not ship items to Zambia, Russia and not all cities of Italy. All our items are original and weren't sold or requested in Fall - Spring. High quality of our items is 100% proven or your money back. We will ship items from factory in Hong Kong, or stores in USA,#@$%NADA or UK. Buyers will NOT pay any Taxes or Fees for any of our items if they shipped from factory. Shipping time: up to 5 - 10 business days. Delivery time: 10 - 15 business days in your country. We accept all type of payments include Paypal. If you have any questions or offers, please feel free to contact us. Please, CHECK our BEST OFFERS and OTHER ITEMS! 1.Our business hours are Mon. thru Saturday. 9:00am to 6:00pm EST. We are closed Sun. and holidays. All Auction Forms will be answered, all payments will be processed, and all packages will be shipped only during our business hours. Any Auction Forms you send us should include an eBay item #, your UserID and Auction Form address registered with eBay. 2. We#@$%n Ship via FedEx, DHL, Purolator, UPS and other Express Delivery Service include FedEx 2 days delivery for an additional fee. 2.1. This item will be shipped from Hong Kong Licensed factory. Buyer pays full amount for shipping, insurance, and handling fee for this item to be shipped via Hong Kong Post Service or#@$%nada Post or Russian Post Service or KLM Air Shipping Service depend on item. 2.2. Insurance and/or Shipping is the part of price of item and required,#@$%nnot be optional, and is non-neogotiable. 3. All prices and payments are in US currency. We accept Paypal, other type of payments (contact us for more information). 3.1. We do not accept personal#@$%pany checks. No pickups, no exceptions due to warehouse regulations. 4. All sales final, exchanges for same-item only. 5. If the item stated as brand new is found defective on arrival or incorrect item was shipped, buyer understands that the product will be repaired or replaced at seller's discretion, and be given a reasonable amount of time. All presumed defective or wrong items must obtain a Return Merchandise Authorization Number before returning. Any returned package without an RMA# will be refused. Buyer is responsible for return shipping costs and insurance. Warranties are offered by the manufacturer and will be honored by the manufacturer. All shipping and handling fees will not be returned in any#@$%se. 6. After buyer receive item he/she must leave feedback and receive feedback from seller. 7.Shipping to Spain and Italy- ONLY by FedEx after Buyer pre pay for FedEx Service. Shipping For Italy and Spain different then it's writen in Listings. 7.1. By bidding, buyer#@$%mit to buy this item from the seller if he/she is the winning bidder and agreed with terms and conditions of this item.